CV Escrow | What is a Property Deed? 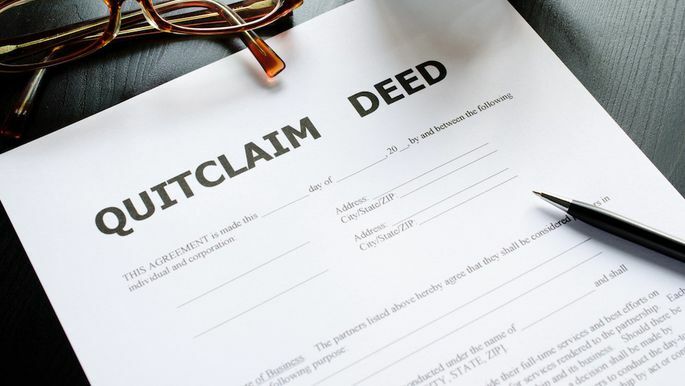 What’s a property deed is a common question, so today, we wanted to share some information we hope you’ll find helpful. Let’s start with the basics. In every real estate purchase or sale, the home buyer is granted a property title from the home seller via a deed. The entity who’s in charge of preparing the deed is typically the escrow company, title company or attorney. The property deed shows the seller who is currently vested on the title, is going to grant the title to the buyer who has chosen to take title of the property. Here’s where things can get confusing for home buyers.. Here are some more information about each of these property deed types and when they are commonly used. Normally, a Grant Deed or Warranty Deed are used when transferring residential real estate. With Grant Deeds, the grantor gives a “general warranty” of title against any claims. With a Grant Deed and a Warranty Deed, the grantor’s warranty applies to any period of time, while the grantor held title or before they held title. Special Warranty Deeds are more commonly used when transferring a REO (real estate owned property). When a Special Warranty Deed is issued, the grantor gives the warranty for only the time period in which they held title to the property. Quitclaim Deeds are typically issued to transfer title to family members, divorcing spouses, or to people who are already acquainted. Here’s some more important bits of information for Property Deeds in general. The warranties given through a Deed pertain only to the condition of the title of the property. They do not have anything to do with the condition of the actual physical property. Deeds must contain the legal description of the property and the APN Number, which is displayed on the tax rolls for the property. Deeds are prepared in accordance with the type of property that is being transferred, or per specific instructions provided by the seller, and is usually recorded within one business day after escrow has received receipt of loan funds. In California, all deeds are viewed as the same thing. Deeds are used to convey ownership. The title insurance company ensures that the home buyer receives clear title to the property they are purchasing and guarantees against encumbrances. If a home buyer goes through escrow and receives title insurance at the close of their escrow, they shouldn’t be concerned with the type of Deed that is used to transfer the property into their names. Please remember that each and every real estate transaction is unique! In turn, special circumstances may apply. We’re here to help, so please contact us if you have any questions about this topic or are interested in opening escrow with our team!